Australia Day is a day when many of us celebrate with friends by enjoying a BBQs outdoors. Don’t let your celebrations result in a trip to the vet for your pet! Here are our tips on managing the hazards to keep your pets safe. Keep pets away from the BBQ– Pets can be attracted to the smells of cooking food and are unaware of the risk of burns. Keep your pets well away and shut the lid if you leave the BBQ or finish cooking as cats in particular may jump up on the hot plate. BBQ food is not pet food!– Ask your guests not to feed your pet. Onion (cooked or raw) is toxic and can cause life threatening anaemia. Corn cobs can be swallowed by dogs and cause intestinal obstruction. Fatty snacks such as sausages and fatty offcuts can induce stomach upsets, or worse still potentially fatal pancreatitis. Bones (especially cooked and/or awkward shapes such as T Bone or chops) can cause gastrointestinal damage or obstruction if swallowed and should be avoided. Keep a few pet friendly treats on hand so you can make them feel special without risking their health. Use a drip tray- and throw it out at the end of cooking. If fat and juices are left to drip on rocks and sticks this can encourage dogs to eat them and risk intestinal obstruction. Remember the rubbish– Dogs in particular will love to scavenge through your BBQ rubbish so make sure it is stored well out of reach. 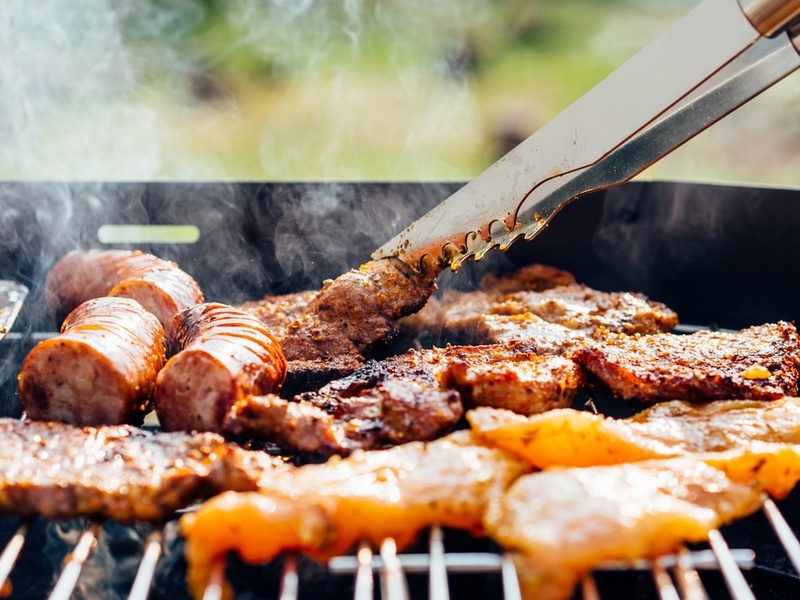 BBQ skewers, aluminium foil, cooked bones, corn cobs, fatty scraps and plastic wrap are all potential hazards in the bin that can result in a trip to the vet. Provide for your pet– Make sure they have plenty of cool water to drink, access to shade and a quiet space to retreat to when it all gets too much. Enjoy your celebrations! If you find yourself in need of a vet, remember our Hermit Park Veterinary Hospital is open from 10am-12pm on Australia Day (ph 4779 5222). Normal business hours resume at both clinics on Wednesday.